Like I told you before, I was going to dye my hair. 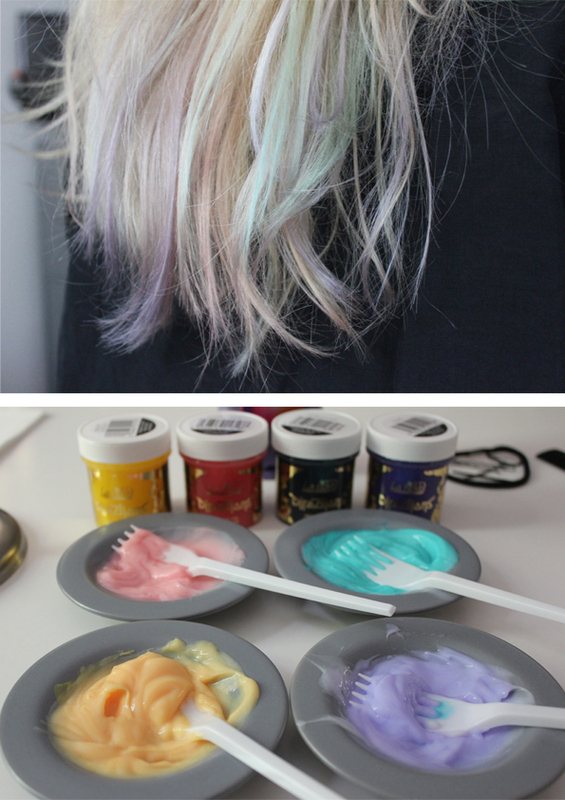 This is the result, a bleach dip with pastel tips. I was inspired by all the pastel thing going on everywhere (seriously, open a magazine and you will find a fashion shoot about pastels in it). But I didn't want the 'regular' dip-dye with one or two colors. So I decided to put 4 colors in white hair. The first step would be creating white tips, so, that's exactly how I begun. 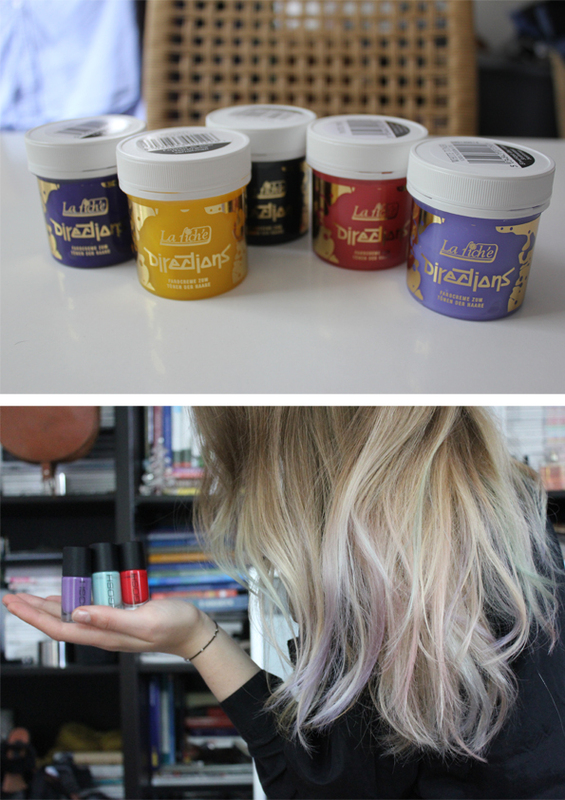 I tried to create a white dip dye with the La Riche Directions White Toner, but nothing happened. So I bought some highlight bleach hairdye and used it to lighten up my ends. 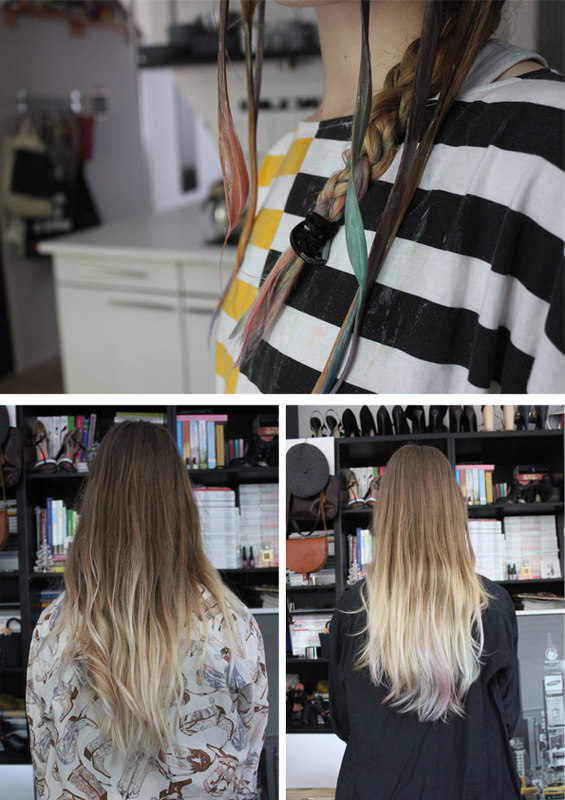 Then I seperated my hair in different layers, with different strands within each layer and dyed those with the colors. But before I diluted the La Riche Directions colors by adding conditioner (maybe with a bit too much conditioner, but it's pastel, like I wanted). After washing, Tadaaa, pastel hair. Soo, what do you think? 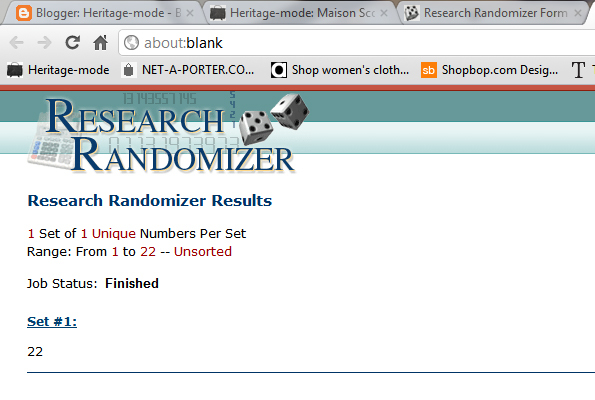 And the winner of the Maison Scotch Give-Away is: nr. 22 Senja! Of course I will personally contact you! I hope you will have lots of fun with those goodies! Wauw het is echt heel mooi geworden! You're so brave, I'd be so scared to do it. It looks gorgeous, you can pull off anything! Well done Senja on the giveaway, I'm so jealous, those necklaces are just so quirky. I love how you put all four colours in and it looks so pretty too! I wish I could do that to my hair! Wow that's so great. I really love it. Your hair looks very pretty. ps: vandaag is de laatste dag dat je 9 nagellakjes kan winnen met onze winactie! Did a great job on it Tessa :) Pastel candy tips. Looking so lovely and funky too! Wow! A very interesting way. I love this hair colour and I think it looks amazing. WUT!!! That’s pretty! Waar koop je dat verf? Je moet mijn haar doen vind ik. Die verf is van La Riche Directions en die koop je op www.saveonhaircare.com. Voor zowel de bleek als de verf geldt, haar nat maken en dan aanbrengen tot waar je het wil hebben.